and helped make it a success! And a special congratulations to Dan Connall, Aimar Gorriño-Beaskoa, Richard Land, Nina Malik, and James McGahern, the winners of one set of Castelli Epic Climb prints. Stay tuned for more contests starting during the 2018 Tour de France. TEST YOUR GIRO D’ITALIA KNOWLEDGE! 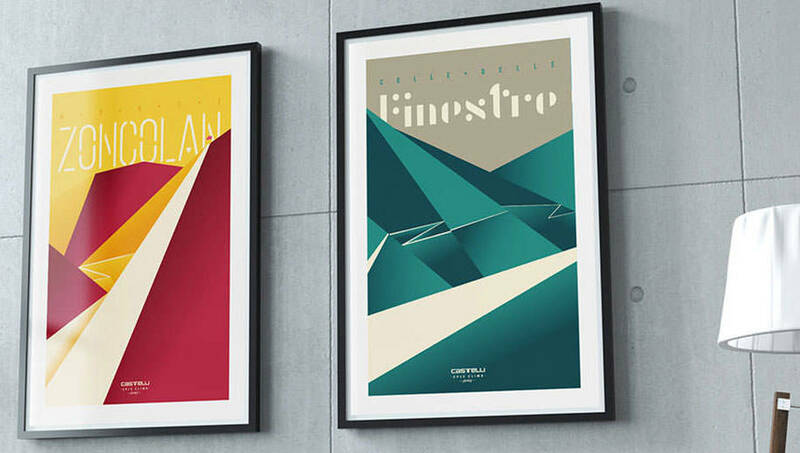 artwork prints of Monte Zoncolan and the Colle delle Finestre. 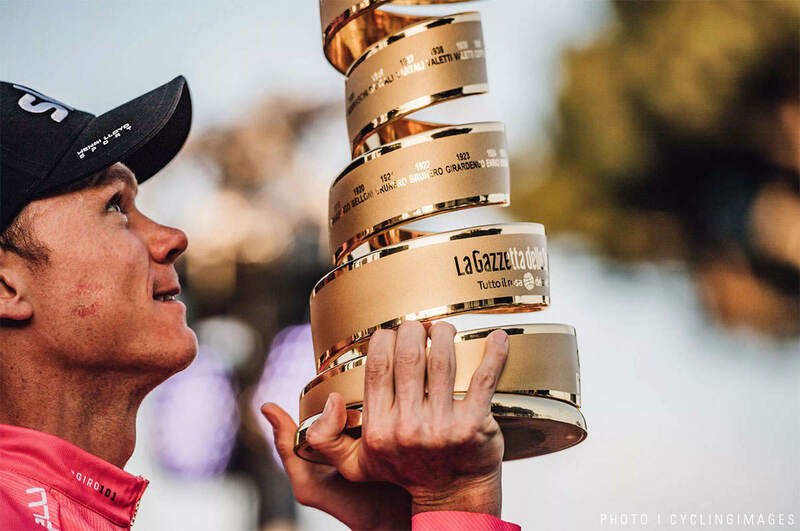 To celebrate Chris Froome’s and Team Sky’s first-ever Giro d’Italia victory, we have decided to give away five sets of limited-edition prints from the Castelli Epic Climb Collection. The Castelli Epic Climb Collection features two of the legendary climbs of this year’s Giro d’Italia, Monte Zoncolan and Colle delle Finestre. These beautiful artworks are printed on 158 GSM fine art paper — quality you can see and feel. It’s a collection of art prints that not only captures but is also driven by the joy of and passion for cycling. As in cycling, speed is of the essence, because only 200 sets are available. The art prints are printed locally in Italy and rolled and packed in a cardboard tube celebrating some of the Giro headlines from La Gazzetta dello Sport from 1981 to 1992, when Castelli previously outfitted the leaders. ALL FIELDS BELOW ARE REQUIRED TO ENTER. We'll announce the winners on JUNE 5, 2018. Question 1: (3) Three cyclists have held all three Grand Tour titles at the same time. Question 2: (80) Chris Froome rode 80 kilometers solo after attacking on the Colle delle Finestre on stage 19. Question 3: (Andy Hampsten) Hampsten rode into cycling legend 30 years ago, taking the maglia rosa from Franco Chioccioli on the Gavia stage to become the first American to win the Giro d’Italia. Question 4: (8) The Giro d’Italia 2018 route included eight summit finishes. Question 5: (Elia Viviani) Viviani won the ciclamino points jersey showing that he was the top sprinter in this year’s race. The usual Castelli rules apply (see below). Only one entry is allowed per person. 3. The contest is open to all Castelli Newsletter subscribers who sign up for the campaign. 2. No purchase is necessary to enter or win. and ends at 08:00 p.m. (CET) on June 4, 2018. 5. The Castelli random-number generator will pick the lucky winners. 6. Winners will be announced on June 5, 2018. Click here for detailed contest rules.